NEW ORLEANS – When HIV-negative children born to mothers infected with HIV are evaluated in adolescence, they are found to have far higher rates of obesity and reactive airway disease than are those with no such exposure, according to research that provides a compelling link between inflammatory activity in utero and subsequent risk of metabolic disorders. Most supportive of that link was a near-linear inverse relationship between CD4 counts during the time of pregnancy and risk of both obesity and reactive respiratory disease more than a decade later, according to research presented by Lindsay Fourman, MD, an instructor in medicine at Massachusetts General Hospital, Boston, during the annual meeting of the Endocrine Society. 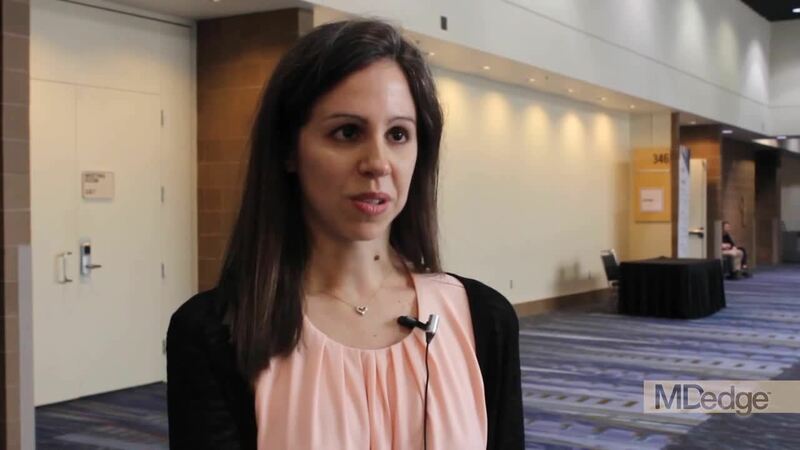 In this video interview, Dr. Fourman discusses the effort to understand the long-term health consequences of being exposed to HIV and antiretroviral therapies while in utero, a group known by the acronym HIV-exposed uninfected (HEU). With effective therapies now routinely preventing mother-to-child transmission, this population of children is growing quickly. For this study, 50 HEU individuals were identified from a patient database. They were matched in a 3:1 ratio to a control group for a variety of demographic and socioeconomic variables. At a median age of 18 years, the HEU population was found to have a “strikingly” higher rate of obesity, compared with controls (42% vs. 25%, respectively; P = .04). The rate of reactive airway disease was similarly increased in the HEU group (40% vs. 24%; P = .04). These data are important for considering health risks in an HEU population, but Dr. Fourman explained that it provides support for looking at metabolic risks from other in utero exposures linked to upregulated inflammation, such as gestational diabetes or obesity. Dr Fourman and her colleagues reported no disclosures or financial conflicts of interest. SOURCE: Fourman L et al. ENDO 2019, Session P10 (SAT-256).